In a surprisiing move, the hurricane center named a low pressure area tropical storm Jose skipping the tropical depression stage. I have been following the low for a few days. It is a well defined surface low with deep convection barely hanging onto the circulation. In fact, it looked like a tropical storm about 12 hours ago. Wind shear has picked up taking most of the deep convection away from the center of circulation. I don't believe that this is a tropical storm any longer. Interests in Bermuda should follow Jose today. 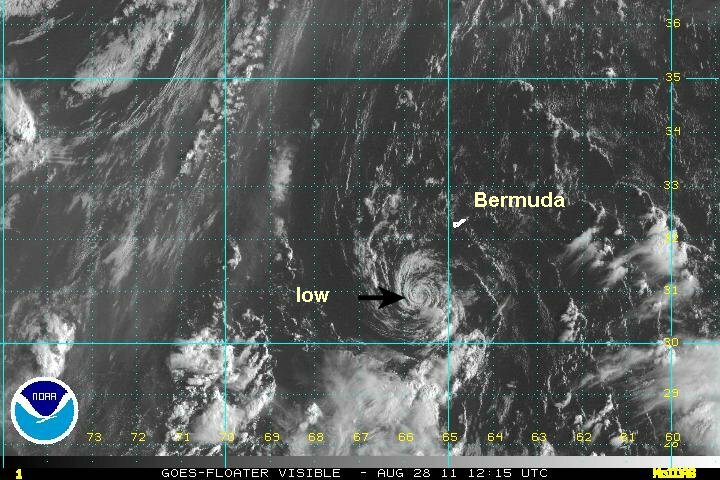 It will pass west of Bermuda, but little effects are expected except some breezes and a few showers. At 8 am edt / ast Jose was centered at 30.8 N / 65.7 W or about 115 miles ssw of Bermuda. Tops sustained winds 35 mph (NHC 40 mph last advisory). Pressure estimated at 1008 mb. I believe that Jose was briefly a tropical storm as it passed northwest of Bermuda earlier today. Wind shear has picked up and has stripped all convection away. I believe that top sustained winds are again below tropical storm strength. 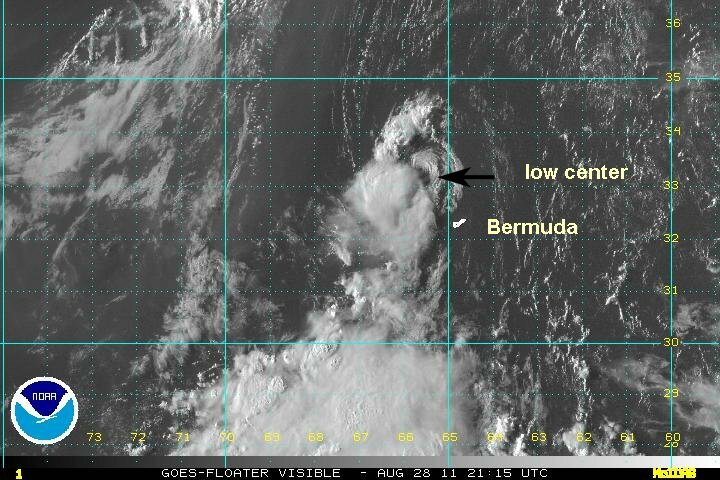 The satellite picture below is from around 5 pm edt when convection was near the center - it is now gone. The strongest sustained winds on Bermuda were 35 mph when Jose passed just to the west this afternoon. Jose is heading rapidly away from Bermuda and should continue being sheared. This will be the last update on Jose, unless significant occurs. At 8 pm edt / ast Jose was centered at 34.0 N / 65.7 W or about 125 miles nnw of Bermuda. Tops sustained winds 35 mph (NHC 45 mph last advisory). Pressure estimated at 1007 mb.